Small Book Box – 1.5CUFT – Box dimensions: 16″ x 12″ x 12″ (1.5 cu/ft) 32 ECT. IDEAL FOR BOOKS, TOOLS, DVD, HEAVIER ITEMS. Moving Ahead Services offers a small box that will hold all sorts of small and heavy items, such as books, tools, DVDs, and toys. 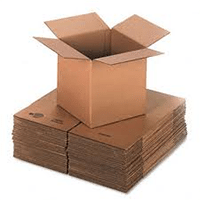 This 16” x 16” x 12” cardboard box stands at 1.5 cubic feet and is strong enough to hold a fairly substantial amount of weight despite its size. The small box allows you to pack several different items in a safe and secure container that will keep things safe from any potentially damaging objects or substances that the box could come in contact with at any point during your move. One of the most tedious aspects of moving is gathering the essential packing supplies, especially boxes. Most people turn to previously used boxes from family or friends, their local grocery store, or whatever is stowed away in their attic or basement, but this means that you are not only getting weaker boxes that may not protect your possessions, but that you may not be gathering enough boxes or appropriately sized boxes for your particular belongings. 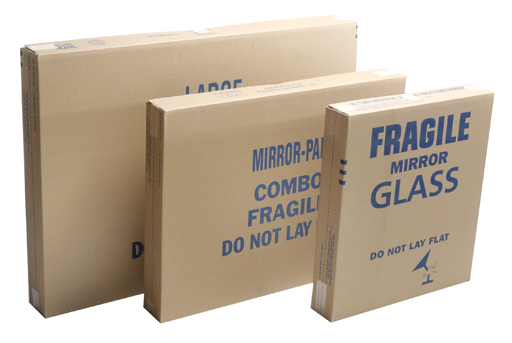 By ordering boxes from Moving Ahead Services, you are guaranteed new, high-quality boxes that will ensure safe travels for your items and you can order as many as you want in whichever sizes you want. A lot of our customers will purchase a mixture of our offered boxes, typically ordering many of the small ones. You are more than welcome to consult with one of our knowledgeable customer service representatives if you would like recommendations on how many boxes you should order of each size. We also encourage you to take advantage of our packing services so that our expertly trained movers can pack your belongings with utmost safety and efficiency. 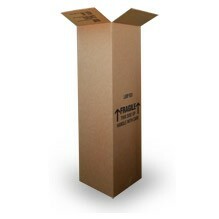 We provide our small boxes for low prices so that you can obtain your required packing supplies with as little stress as possible.